In 2013, War Child spent € 5.0 million on projects that were implemented by partners. This amount includes partner projects funded through the MFS II grant (€ 1.2 million) and Right To Play (€ 0.9 million). War Child works with a wide variety of partner organisations including community-based organisations, youth groups, local NGOs, and schools and government institutions. War Child enters into agreements with partner organisations based on the deliverables each party will bring to a project, including each party’s role in monitoring the project on finance, administration, activities, outputs and overall project quality. Another essential element of partnership agreements is adherence to a Child Safety Policy, either the organisation’s own, which must meet international standards, or War Child’s. Evaluations are conducted at the end of each project, and, when appropriate, also at mid-term. 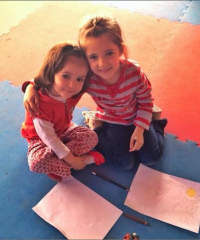 Overall, War Child’s relationships with its partner organisations, including complaints procedures, are governed by War Child’s partnership policy. If a partner organisation performs below expectations, an assessment is made to identify areas and steps for improvement. If necessary the project and/or the relation with a partner organisation may be terminated. This happens rarely, however, as we strive to carefully assess the capacity of potential partner organisations before entering into partnership agreements. 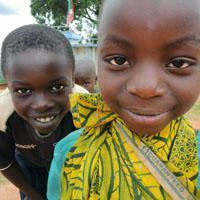 War Child partners with local organisations in all of the countries in which we work. In 2013 we cooperated with approximately 67 local partners. Working with local organisations increases the efficiency of implementation, facilitates strong links with local communities and allows projects to reach areas that we would not be able to reach on our own. The type of support that War Child provides to our partner organisations depends on their technical and organisational capacity and expertise. War Child will provide funding and technical support and exchange, for instance by training the staff of the organisation in our methodologies. Working with local organisations and strengthening their capacity also contributes to sustainability as these organisations will continue implementing programmes for children well after War Child exits the country. In countries like Colombia, the occupied Palestinian territory and Sri Lanka, War Child-supported projects are completely implemented by local organisations. Other country programmes comprise a mix of partner-implemented and self-implemented projects. 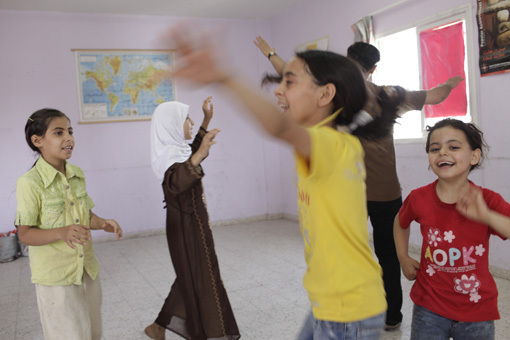 In 2013 War Child began implementing a project in partnership with Right To Play in the occupied Palestinian territory, combining the expertise of both organisations. The project provides psychosocial support and protection through sports, games, and creative life skills activities in child friendly spaces for children in areas of Gaza and the West Bank particularly affected by the conflict. An important aspect of the project is training youth leaders to act as role models and support and promote the well-being of children. Using this approach, disenfranchised youth develop leadership skills and positively contribute to the development of their communities. The International Rescue Committee (IRC) and War Child began implementing a joint project in Burundi to promote the well-being and improve the protection of children in conflict affected communities. The project supports local child and youth clubs and Child Protection Committees to work towards preventing violence against children and to develop appropriate responses to child protection incidents. Children and young people participate in and lead advocacy at the local, provincial and national levels, and participate in psychosocial life skills and business skills activities to improve their future prospects. In 2010, War Child was awarded a substantial long-term grant from the Ministry of Foreign Affairs of the Netherlands (MoFA) for the Conn@ct.Now! programme under the MFS II funding line. The programme is a collaboration between War Child, Child Helpline International, Free Press Unlimited, TNO and T-Mobile, combining their strengths to support children and young people in Burundi, Colombia, South Sudan, Sudan and Uganda. Conn@ct.Now! supports the realisation of children’s rights to education, protection and psychosocial well-being by using innovative Information and Communication Technologies (ICTs) and Media. An evaluation of the Connect.Teaching project, which is part of the Conn@ct.Now! programme in South Sudan, can be found in Connect.Teaching - South Sudan. Every year we monitor the outcomes achieved by the Conn@ct.Now! programme in the five participating countries. Focus group discussions, surveys, interviews and participatory exercises with children and adults are used to gather evidence on the progress the programme is achieving towards outcomes in education, child protection and psychosocial well-being. The findings are then scored on outcome progress cards to document the project’s progress. Findings for the 2011-2013 period will be submitted to the MoFA in the Conn@ct.Now! Outcome Monitoring Report on 30 April 2014.